DAYTON, Ohio -- Eleven months ago, Fairleigh Dickinson coach Greg Herenda was seriously ill with life-threatening blood clots. On Tuesday night, he danced on the court and hugged his players after they secured the first NCAA Tournament win in school history. Senior guard Darnell Edge scored a career-high 33 points and Jahlil Jenkinshad 20 of his 22 points in the second half as the Knights capped a furious comeback by taking down Prairie View A&M 82-76 in a First Four game on Tuesday night. 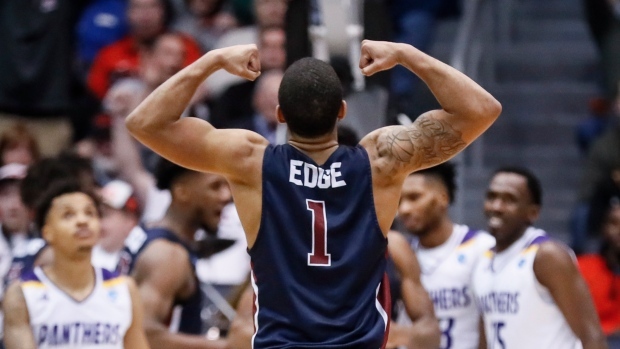 DAYTON, Ohio -- Kevin McClain scored 29 points and led the decisive second-half run as Belmont got its first NCAA Tournament win, pulling away to an 81-70 victory Tuesday night and ending Temple coach Fran Dunphy's career in the First Four. The Bruins' balanced offense had more than enough even though leading scorer Dylan Windler was held to five points on 2-of-7 shooting. Windler came in averaging 21.4 points.